This statistic presents the share of daily Twitter users in the United States. 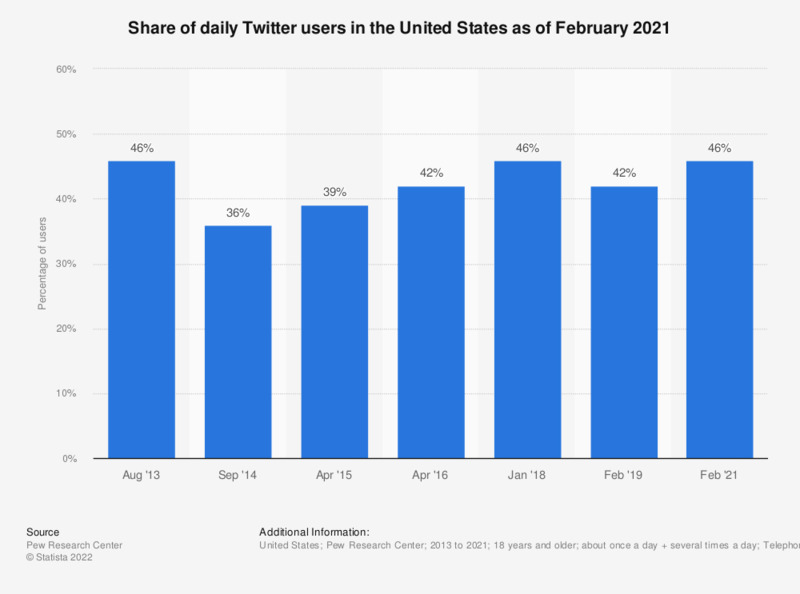 As of January 2018, it was found that 46 percent of Twitter users accessed the service on a daily basis, up from 38 percent in April 2015. Figures regarding 2013 to 2015 from earlier publication.